The Vice-Chancellor's role is to lead the University, and to help to direct and achieve the University’s strategic goals. The Vice-Chancellor also attends the University Senate, sits on the University Council, is responsible for securing sufficient funding, and represents the University externally. Professor Mark Spearing is the President and Vice-Chancellor (Interim) of the University of Southampton. As President and Vice-Chancellor (Interim) he is the Chief Executive of the University and has overall responsibility for its operations. 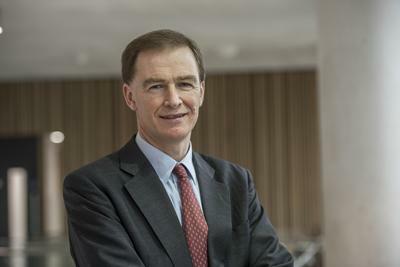 The interim period follows the retirement of Professor Sir Christopher Snowden on 08 March 2019 and will continue until a new substantive President and Vice-Chancellor is in post. Professor Spearing's permanent position within the University is Vice-President, Research and Enterprise, and Professor of Engineering Materials. As University Vice-President, Research and Enterprise, Professor Spearing has University-wide oversight of all research and enterprise activities. This includes our research and enterprise strategy, the Concordat for Early Career Researchers, engagement with external parties, intellectual property and 'spin-out' companies. Professor Spearing's research and educational interests focus on materials, solid mechanics, composite materials and micro-electromechanical systems. He is a Fellow of the Royal Aeronautical Society. You can contact the Vice-Chancellor by getting in touch with the Executive Officer. Tel: +44 (0)23 8059 8681 or email: R.L.Barnes@soton.ac.uk.